The image of Colombia dominating play against the U.S. national team last week brought back a recurring theme in 2018, that of the American struggling to find the ball, and keep the ball. The USMNT is 2-3-1 in its past six matches, and each of those matches saw the Americans lose the possession battle. That is to be expected against the likes of France and Brazil, but even an overmatched Bolivia side came away with a 52-48 possession edge. The same went for a young Mexican side, which held a 53-47 edge in possession. The possession stat isn’t the end-all, be-all of evaluating performances — the Americans dominated Bolivia in a 3-0 romp — but it can often be a telling sign of a team’s inability to grab hold of a game or slow things down when an opponent is running rampant. Even against an opponent like Ireland, which you wouldn’t automatically expect to out-possess the United States, the USMNT settled for a 56-44 percentage disadvantage on the way to a 2-1 loss in Dublin in June. That trend, along with a consistently mediocre passing completion percentage is a product of a U.S. midfield in a state of transition, and also one that his been without Christian Pulisic for all but one of those matches. The disparities aren’t just about Pulisic’s absences though. They are more a product of a U.S. midfield currently lacking players who can keep the ball and help the U.S. control possession on a consistent basis, something that was evident once again in the loss to Colombia. The USMNT has had players in its history who could dictate tempo and keep possession under pressure, like Claudio Reyna and John O’Brien in their primes, but right now the list of players who can really keep possession under pressure and help control tempo is lacking. Darlington Nagbe emerged as a good option in the 2018 World Cup qualifying cycle, and may still find his way back in the conversation if his level improves and no other younger options emerge. How the United States deals with this issue long-term will depend largely on who is ultimately hired as USMNT head coach. Will it be a coach who sets up a counter-attacking and pressing system that works better with the current personnel in the pipeline, or a more possession-oriented coach who will help identify players who suit his system, even if it’s at the expense of some highly-rated prospects? One big issue with having spent the past year under the guidance of Sarachan in a caretaker role is that Sarachan hasn’t really implemented a style in either direction. The 2018 USMNT isn’t a high-pressing team, or a possession-oriented team. It has instead been a team lacking a real tactical identity. In the short term, Sarachan will be hoping to field a team capable that is cleaner on the ball and more effective in possession than it has been in recent matches. Against Peru, the USMNT will be facing a team that thrives on the counterattack, and one that will allow opponents to hold the ball as it looks to force turnovers. 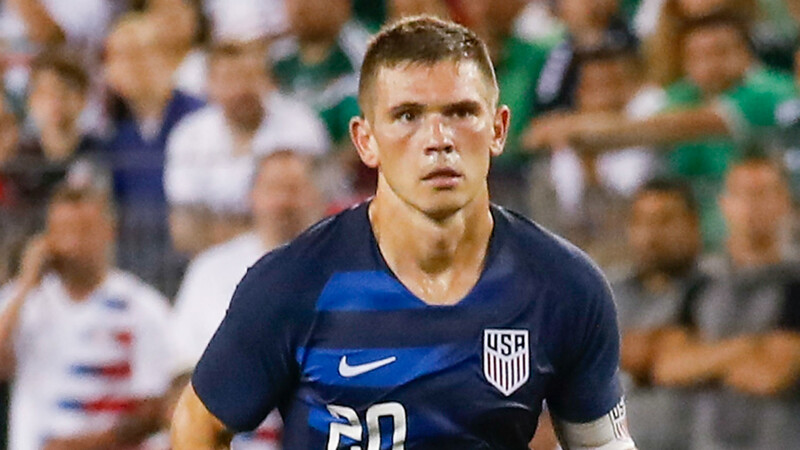 Sarachan is likely to build his midfield around Wil Trapp, who is expected to return to the starting lineup after sitting for Michael Bradley against Colombia. Kellyn Acosta is a good candidate to start once again, while Sarachan will need to decide whether he wants to deploy a five-man midfield or a 4-4-2. Given the U.S. team’s struggles with possession, a five-man midfield makes the most sense, but Peru’s midfield is far from a pushover, and will make things tougher for whichever central midfield combination Sarachan settles on. A Trapp-Acosta-Kenny Saief triangle could create some chances, though Saief hasn’t really had the opportunity to show what he can do in a central role. Sarachan could choose to start Michael Bradley once again and hope that a Bradley-Trapp tandem can keep the ball well, but that combo wouldn’t offer as much of an attacking element as a Trapp-Acosta pairing would provide. The U.S. team’s issues with possession won’t be solved any time soon, but Tuesday’s match against Peru should offer an opportunity for players like Trapp, Acosta, Saief and potentially Marky Delgado to show they can eventually be part of the solution rather than part of the problem.